Wishing a beauty-filled new year to you! this is SO beautiful, photo and words! Wishing you a blessed New Year! and thank-you for the beauty you bring to blog-world! I pretty much smotheringly love the shots from this day, so there will be one more. A blessed new year to you, also, & looking forward to 2016's offerings of your brand of lovely lyricism! yes! 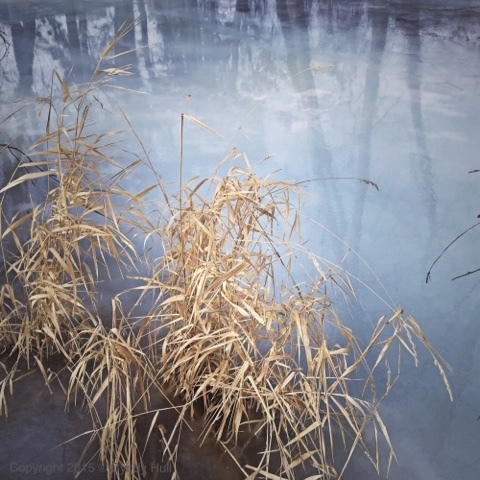 definitely so - this was a serendipitous confluence of freeze, thaw, & light. And Happy New Year to - lover of nature and Montana. and lover of my dear sissies even more so!